The Screaming Pope: Diasporic Dining XXXX: Should You Put Your Napkin in Your Lap? Diasporic Dining XXXX: Should You Put Your Napkin in Your Lap? Should you put your napkin in your lap? You might also ask, did the mountain come to Muhammad? 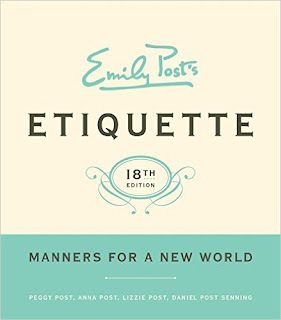 There are those who believe in manners which may go back to famous theoreticians of cooking like Escoffier or derive from the kind of social mores for which Emily Post was a spokeswoman. And there are others who regard the table as a jungle, just another platform in which Darwin’s fittest survives or not. For instance, if you leave your napkin on the table with its detritus of ketchup and gravy stains you make yourself less attractive to those with whom you might like to procreate. Hence your particular line will not be naturally selective. W.D. Hamilton’s rule in epigenetics basically shows that altruism itself can be naturally selective. 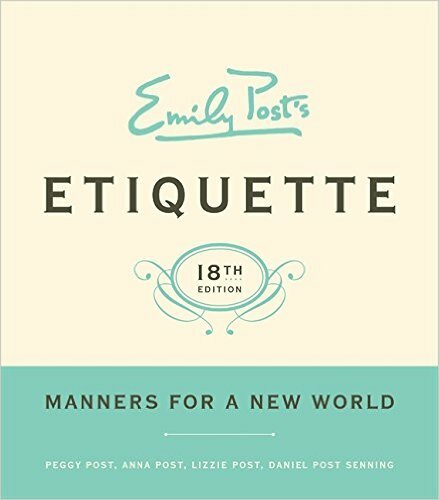 Thus an awareness for others at the table demonstrated by a gesture of concern for their sensibilities is another reason why you might decide to put your napkin in your lap. It’s not that you're adhering to social pressure or abiding by standards of behavior that will result in acceptance in one social milieu or another. It’s that putting your napkin in your lap will result in the preservation of your gene pool. Civilized man regards eating as a form of culture and every once in a while it’s useful to be reminded that appetite actually reveals his true nature as that of a pig or cow eating cud out of its trough. This is why ill-mannered people are such a red light to those who're resistant to being reminded of their animal natures. Despite the advent of consciousness, there's little to differentiate man from lower orders and man's fall from grace, emblemized by the failure to put his or her napkins in their laps is a rude reminder of an often unpalatable truth.